While these are intended to show some of the ways we can help, we have a very flexible approach and it is often easier to talk to us directly to find out how we can best assist with your project. RRC is able to work closely with you to assess what broad aspirations you may wish to set for your catchment. We can provide advice to ensure that your plan is in-line with current best practice, we can act as an independent reviewer or we can provide examples through case studies and images to supplement your report. 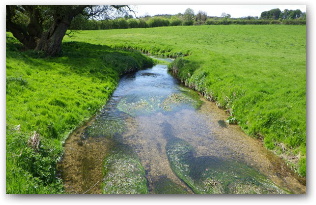 RRC commented on a draft of the Upper Witham River Corridor Habitat Plan which was being developed by the Environment Agency. RRC was able to identify sections where greater clarity or further explanation was required; provide ideas for aims and objective setting; annotate photographs and suggest ways to make data sheets (included as part of the plan) more user-friendly for anyone walking the river. Specific project advice often can’t be given over the phone as every river and catchment is unique. A site visit with RRC can be a useful discussion tool. We aim to tailor each site visit to make sure that you get what you need from the day. We can discuss the initial feasibility of ideas you may have, provide inspiration for what could be done (given our knowledge of hundreds of other UK projects), or we can visit specific parts of a river where you are just not sure what to do. 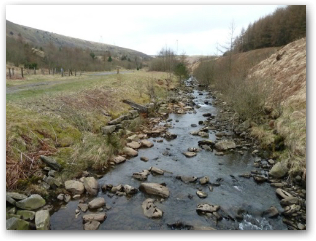 RRC supported Natural Resources Wales (NRW) by helping to identify options for natural flood risk management and opportunities for river enhancement, restoration and aesthetic improvement in the Rhondda valley. Both the Rhondda Fach and Rhondda Fawr are heavily modified through previous engineering works, and run predominantly through urban areas where large areas of land have been identified as being at risk of flooding. RRC and NRW carried out quick assessment to identify where there were opportunities to overcome pressures (e.g. culverts, river disconnected from the floodplain). Twelve reaches were identified and ground truthed over a two-day site visit. For each opportunity identified, an assessment was made about potential ecosystem service benefits; an indicative cost; and the likely ease of delivery. RRC has an expansive resource of case studies, information and knowledge on river restoration and catchment management. In most instances, if you have ideas of how to restore or improve a section of river, we are likely to have a best practice example or understanding of what to do (and what not to do!). And if we don't we will know someone else who has. RRC provided advice on alternative soft bank protection solutions to Natural England in response to a proposal to install gabion baskets (covered with soil and seeded) on a section of eroding bank on the River Dee SSSI near Eccleston. 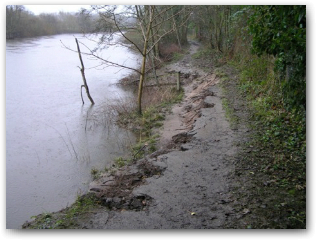 RRC provided a range of different examples from rivers with similar issues. RRC can produce high quality indicative drawings and maps to communicate ideas and opportunities to a range of partners. These can be tailored to your needs and the expertise of the intended audience. Our maps can be exported into your own GIS software or uploaded to Google Maps for communication to community members and partners. RRC is able to take 360° photos of your river which can be shared with partners and community members who are interested in the river. These images are taken every 10 metres along the river bank and are a greate tool for learning, sharing and communicating. Please speak to us if you would like to learn more about taking 360° photos. Find out how we can help you with the Design and Implementation of your Project.